Sorry about the delay in this post, work has been incredibly busy these last few days and the most I could do at the end of each shift was shower and fall into bed!! The photo above should be called the terrifying and highly unusual time you have empty beds in the emergency department, so rare an occurrence several months ago that we took photos!! This topic will be about what type of presentations we see in a busy Emergency Department (ED), who, why and when you should attend an ED. Of course this is just my observation and opinion not endorsed by any Local Health District, State or Federal Government Health Policy. MY OPINION AND OBSERVATION. Upon presentation to an ED the patient will initially be quickly assessed by a triage nurse and assigned a triage category according to their presentation. The triage category is based upon the clinical assessment of the patient by a highly experienced registered nurse in keeping with current guidelines in place that determine what clinical signs and symptoms fit which category. The wait times recommended are followed by percentage suggestions that indicate the importance of adhering to these suggested wait times. For example someone presenting with clinical signs and symptoms that are allocated a triage category 1 will require immediate medical attention and this should be adhered to in 100% of cases where a triage category 1 has been given. This category indicates that the patient requires immediate life saving attention. I am trying to example all this in the simplest manner so that those from a non-healthcare background will find it easy to follow. For those that are interested in reading up further on what and how the guidelines are for allocating a triage category below is a link with a brief overview from the Australian Governments Department of Health and Ageing, Emergency Quick Reference Guide. So you feel unwell or have an injury and present to ED you are given a triage category score by the triage nurse, so what next? Your wait time will then be determined by your scale. If you are a category 1 or 2 you will be attended to very promptly by medical and nursing staff, the process usually follows the patient being taken from the triage room to the resuscitation bay or acute area depending on how stable the patient is and where beds in the department are available. If your triage category is lower than 1 and 2 and you are stable then you will more than likely remain in the waiting room until your name is called by a doctor that will be assessing you. During your time in the waiting room a nurse may do a brief assessment and attend to things such as your vital signs, blood pressure, temperature etc and may provide you with some basic treatment such as analgesia or anti-emetics. The idea of being attended to by a nurse in the waiting room is to ensure you remain stable and comfortable while you wait to see the doctor and possibly fast track your treatment by taking and sending off bloods so that the results may be available when the doctor is ready to see you. People in the waiting room can at any point also deteriorate and if you feel this is happening to you or the person you are with you need to notify the nurse immediately. People in the waiting room can also get frustrated at the notion that people arriving after them are ‘jumping the cue’ by being seen to by a doctor first or by-passing the waiting room altogether, keep in mind that these people are obviously so unwell that they have received a higher triage scale and require more urgent medical attention than someone that is stable enough to wait in the waiting room. Some people that are given a triage scale of 3, 4, or 5 may even be well enough to have attended a general practitioner (GP) or local medical officer. People often present to an emergency department with a presentation that could easily be attended to by a GP. For example feeling ‘a little under the weather’ with flu like symptoms, does not really constitute a medical emergency. Actually without being judgemental I would like to list a few presentations that could easily be seen to by a GP. The list goes on in regards to what is not necessarily an emergency and you will find yourself sitting in the waiting room for hours. Although the triage scale provides a guide on how long your wait should be, realistically if it is a busy shift in the ED and ambulances are lining up outside with patients to drop off and the waiting room is full it is fair to say that your wait will be much longer than what is estimated in the triage chart. Please also remember people as well that just because you came in an ambulance does not mean that if you are more stable than someone that walked in who is really unwell you will be seen before them!! If you are stable enough to climb off the stretcher and sit in the waiting room then that its were you will wait, calling an ambulance does not and will not fast track you into seeing a doctor if it is not urgently required! This list of course is no where near exhaustive, however I just wanted to give a small overview of what we see and treat frequently as medical emergencies. So the point of this post is to firstly encourage people to recognise a potential emergency and act swiftly by commencing CPR if necessary and calling triple 000. Second point to this post is to try and encourage people to recognise what may not constitute a medical emergency and encourage people to seek medical advice from a GP if appropriate. The result of people attending a GP as opposed to attending the ED will mean less of a financial and time burden on the public health system, freeing up more resources (staff, equipment, beds) for patients that really require emergency treatment. The benefits to the individual who presents to the GP as opposed to an ED may include shorter wait times to be seen, having readily available follow up care and seeing someone in their local area. Some people may not attend their local GP because of the rising costs involved in visiting the doctor. It is worthwhile shopping around as several local doctors still bulk bill, that is, charge it to your medicare card, or waiver fees for people on pensions and those with health-care cards. Most local doctors can order x-rays, give prescriptions, referrals to specialist and do some minor procedures such as sutures for small lacerations. If you find a good one that can do all this for you stick with them for good continuity of care. I guess there will always be that case were it just isn’t clear whether the situation is bad enough to require attending an ED and in that case I would say just come in!! Better to err on the side of caution and get checked out than leave it to late!! However if you are told that there will be a wait and you find yourself sitting there for hours and hours……and hours please as difficult as it is refrain from becoming agitated and aggressive towards the staff. They are trying their best to see everybody in a timely manner. The emergency staff are restricted by the resources available to them, they are often under-staffed running without enough nurses and doctors on board due to continuing health budget cuts and further complicated by limited bed spaces. Yes our health-care system is one of the best in the world and yes we are still struggling to provide more timely care to the public, however now would be great to suggest that we spare a thought to those in third world and less fortunate countries than ours that don’t even get the, dare I say it, luxury of waiting for hours in a waiting room knowing that they will receive free treatment from highly skilled health-care workers……. So if anyone feels the need to become abusive towards those that are getting underpaid and overworked to provide you with good health-care treatment perhaps a more effective method of venting would be to write a letter to our State Government, those that write the polices and provide the funding for a system that is obviously already stretched to its capacity and is struggling to meet the needs of the population. Now I do not want to blur the lines here about whether or not one should attend and emergency department as I said previously if in doubt check it out!! I am simply trying to explain what, how and why we do things in an ED. I myself at times have been known to attend an ED when it was probably unnecessary……perhaps even recently….perhaps because I was too tired and unsure to diagnose my own kid with a virus as opposed to measles…. So maybe Ill take my own advice and go back to relying on my GP for as much as possible or subscribe to my other theory of…..
Hopefully this helps clarify how an emergency department works even just a little bit. Now for a very deserving shout out to all my amazing colleagues, I know at times, we will be punched, spat at, threatened, insulted, overworked, underpaid and left exhausted but please don’t stop doing what you do!! 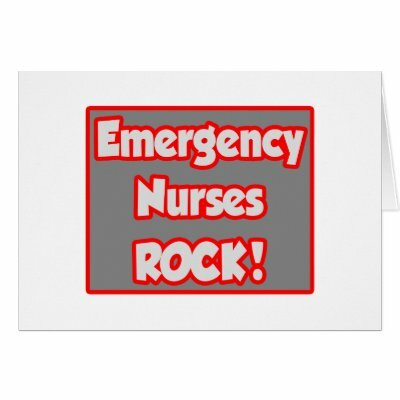 ED nurses, doctors and allied health workers, ward clerks, clerical staff and security all do an amazing job to keep things running smoothly while assisting in saving lives!! Keep up the awesome work guys, without you so many would not have survived!!! !